‘Man [sic] is, in reality, an oracular animal. for meanings’ (Eiseley 1969/1994: 144). David Christian's Maps of Time is taken as a point of reference to explore the temporal strategies used in world history to navigate what Christian calls ‘Big History’. A participatory and performative model of meaning making is proposed that utilizes multiple temporal strategies simultaneously. Evolutionary theory is explored as a narrative device in Christian's hermeneutic and pushed to incorporate new developments in the field. Causal Layered Analysis is introduced as an approach to facilitate deep-mapping, and cartography as a narrative device is also applied to the concept ‘civilization’ and hegemony. The thinking of astrophysicist Nikolai Kardashev about stellar and galactic civilizations is introduced to further extend the temporal context for Christian's historical process. The goal of this article is to interrogate assumptions that underpin an overly linear reliance on maps to reveal patterns across time and culture. At the heart of this exploration is the desire to deepen and problematize the categories that shape Western historical thought and practice. Physicist Michio Kaku recently observed that we live in a ‘participatory universe’. He concludes: ‘the universe does have a point: to produce sentient creatures like us who can observe it so that it exists’ (Kaku 2005: 351). This is a wonderfully provocative statement! It sits somewhere between Descartes' cogito summation and the Tantric assertion that Brahma created the universe because he was lonely. But what does it mean? Perhaps this is the wrong question. It can, upon a second reading, mean many things. It is plural by virtue of locating the observing with the observer which can be a culture, a civilization, a discipline like world history, or even the individual such as the historian. The participatory allows for us to work the middle, or between that Bruno Latour argues has been left out of so much Western philosophical and scientific thinking (Latour 1991). The participatory acknowledges the middle as the place where we encounter ourselves in the world. Gilles Deleuze sees the encounter as the source of our becoming – it is fragile, creative, multiple and ongoing (Deleuze 1993). That we participate in the universe also acknowledges the performative, verbal nature of our observing and being. As we observe we create and are created – we tell stories, build maps and also set goals and tasks. As Loren Eiseley acknowledged above, we search for meaning. This is the implicit ethical injunction in our participation. The task of the observing of World History could be said to be firstly, to tell the story from our particular vantage point; se-condly, to bear witness to all that which has brought us to our precarious present and which will sustain us into the future; thirdly, to search for new categories to deepen both the first and second tasks. Thomas Berry sums this multiple task up well. The historical mission of our times is to reinvent the human at the species level, with critical reflection, within the community of life systems, in a time-developmental context, by means of story and shared dream experience (cited in Laszlo 2001: 152). When reading David Christian's essay ‘World History in Context’ (Christian 2003) and his book, which put flesh on the essay Maps of Time: An Introduction to Big History (Idem 2004), one gets a sense of that participatory engagement Kaku is referring to. Christian takes evolutionary theory as his foundational story and expands it by adding to natural selection, which as Eiseley notes can be rather repressive on its own (Eiseley 1969/1994: 185), two further adaptive mechanisms: learning at the individual level of the unit organism, and collective learning at the specifically human level. Thus he meets much of what Berry was calling for. The human species is depicted as an evolutionary intensification in energy consumption, complexity, and creativity. As a learning animal, humans are capable of reflective activity and of increasingly being able to manage their external and internal environments. Yet, despite such abilities we are still very much part of the universe's bigger story of dynamic disequilibrium, and therefore still very much at the mercy of the second law of thermodynamics (entropy). Furthermore, the evolutionary template, even with modifications, provides a most elegant time-developmental context for his historical narrative. Finally, he acknowledges the relative and provisional nature of his template as a ‘modern creation myth’ (Christian 2004: 11) – a story that participates in the maintenance of the present and in trying to think/dream beyond the now in sustainable ways. Thus he acknowledges that he is part of that process of becoming as well as commentator up on. In this he offers a much more holistic vision of history's potential spectrum than many world historians working today1 who miss the participatory quality of the human interaction with the universal unfolding of our world-context. For Christian the human story can only be read, as ‘a serious attempt to see the history of our species in the context of other stories, including those of our planet and our universe’ (Idem 2003: 457). Thus he is searching for a form or representation that brings intelligibility to the present human context. Though he is doing history he is also theorizing. As such he is not holding out Big History as a coherent story-in-itself, but as a template (map) for understanding and thus his main aim in his mapping of time is to make human history intelligible (Fillion 2005). Large networks of exchange have distinctive regional ‘topologies’. It may help to return to the analogy of a social law of gravity. Under this imaginary law, human communities exert an attractive force on other communities and on the goods, the ideas, and the people within them. As human communities grew, this law began to operate in more powerful ways. Roughly speaking (in a surprisingly close analogy to Newton's law), the magnitude of the gravitational pull between communities is directly proportional to the size of the communities and inversely proportional to the distance between them (Christian 2004: 291). Such thinking, based on the evolutionary cosmology and bio-logy of modern science, is the basis for his Big History and it invites us to think big. It is the mythos of cultural Darwinism that provides Christian with a dynamic that forges coherence from the multitude of threads that constitute his history. Of course he must ‘own’ the telling and thus he is free to tell but captive to the map he takes as his guide. The most important reason for hope may be that collective learning now operates on a larger scale and more efficiently than ever before. If there are solutions to be found, both for humans and for the biosphere as a whole, the global information networks of modern humans can surely find them. These networks gave us the technologies that helped us mold the biosphere as we wished, and modern, electronically driven networks of collective learning have helped us understand the dangers of our increasing ecological power. In broad terms the challenge is clear. To avoid a global replay of the catastrophes that overtook Easter Island, we must find more sustainable ways of living (Christian 2004: 475). There are two main sections to this article. The first explores Christian's ‘map’ for Big History and highlights some features of its epistemological order, and introduces a conversation on possible loose ends in Darwinian theory and cosmology that can extend and deepen Christian's cartography. The second takes one element – the concept of energy – and pushes this in a number of directions to explore possible implications of the thinking of physicists such as Nikolai Kardashev, Carl Sagan and Michio Kaku for Christian's overall thesis. Central to this exploration is the concept of an emergent or proto-global civilization. Christian offers a map of time that follows the elegant and linear story of the universe from the Big Bag to its final demise as scattered, cold, and dead bits of rubble diffused through the immensity of time and space. From this point in time he ‘sees’ the experiment of life on earth as a wondrous ‘dazzling flash’. To an imaginary observer watching the death agony of the last black holes, the few billion years considered in this book will seem like a dazzling flash of creativity at the beginning of time, a split second in which huge and chaotic energies challenged the second law of thermodynamics and conjured up the menagerie of exotic and complex entities that make up our world. In that fleeting springtime, before it cooled and darkened, the universe was bursting with creativity. And in at least one obscure ga-laxy, there appeared a networked, intelligent species capable of contemplating the universe as a whole and of reconstructing much of its past (Ibid. : 489). This passage is rich in the key themes of his text. Here we find ‘creativity’, ‘huge and chaotic energies’, ‘the second law of thermodynamics’ and ‘exotic and complex entities’. In this, the movement is from simple to complex, with the latter being rare and fragile. Complexity, dense energy flows, fragility, and rarity seem to go together. So, if we rank the contents of the universe not by size or age but by complexity, we find that living organisms loom larger than they do within the modern maps of space and time. Indeed, they provide a benchmark against which we can measure this universe's creativity, its capacity to generate complex things (Christian 2003: 443). Life here is not to be measured, or ranked, by the scales of time and space – the domain of the pure sciences – but by its ability to organize and order complex relations. To account for this Christian introduces two further adaptive responses: firstly, individual learning and then the collective appropriation of that learning (Ibid. : 444–445). It is with the collective appropriation of learning that things really begin to get moving. As Christian notes, the impact of individual and collective learning are transformative,‘because cultural adaptation is cumulative, the pace of adaptive change accelerates’ (Ibid. : 446). This acceleration has its own momentum as the more of us on the planet the more knowledge there is in store. Today's change and instability are both the result of this process of knowledge intensification. All this makes sense. This therefore, is a map that fills Christian's own criteria in offering ‘a description of reality that conforms in some degree to common experience’ (Christian 2004: 11). It is at this point that questions start to bubble up. How do we account for the tension between humanities' ‘oracular’ capacity to generate myths that give meaning, and the fact that we are also captives of our myths? Though Christian is clear about his commitment to the modern creation myth, is the historian called upon to also distance in someway their subjectivity and method from the mythic configuration in acknowledgement of the inchoate depth a myth presupposes? Mapping depth might be called upon – a 3D map – so that the context of world history moves from linear narrative and planar multiple narratives, the rhizomic ‘plane of immanence’ of Deleuze and Felix Guattari2 (Deleuze and Guattari 1994: 40), to vertical mytho-poetic autopoesis. Carlo Ginzburg noted on this point that ‘All mythology conquers, controls and shapes the forces of nature in imagination and by way of imagination: it therefore vanishes once we truly have control over those forces’ (Ginzburg 2002: 52). This is an area world historians could well work with, the interface in epistemological terms between the idiographic drive to describe and account and the nomothetic aspiration to find patterns and laws3. Such work, Arif Dirlik argues, is crucial to vigorous world history because ‘The ideological implications of practices that on the surface appear to be merely historiographical are of the utmost importance to critical historical wri-ting’ (Dirlik 2005: 392). Following another tangent we can also ask, who is privileged with the owning of the ‘common sense’ Christian alludes to? It could easily be argued his ‘creation myth’ and the hope he draws from collective learning's possibilities, is the common sense of a beleaguered global middle class who, though no doubt in need of some solace, are not the big evolutionary losers at this current point in history (Guha 2002; Nandy 2007). The struggle is for traditions on the periphery of modernity to retain integrity so that we can affirm the multiple and heterodox within any set narrative. Ashis Nandy best articulates this with reference to the future, observing that ‘Some societies do not any longer have a workable concept of the future. They have a past, a present, and someone else's present as their future’ (Nandy 2007: 174). … it can be argued that one's notion of history is constitutive of one's theory; that history does not exist independently of one's linguistic structures. Viewed from this perspective, one's theory, pre-understandings are complicit in the dominant discourse of the present, thus making any objective history fundamentally problematic. If this is the case, then a serious attempt at uncovering the politics of one's historical categories, one's theory of history, is imperative so as to understand how one is structuring history, to understanding what is being epistemologically gained and lost. Without this inquiry, one's pre-understandings remain unproblematic … within various power configurations (Inayatullah 1999: 138). If there is an escape here, it lies in the fact that Christian is evoking a collective learning that is fluid and flexible in responding to the paradoxes and tensions of the present. Perhaps the post-Western civilization that we stand at the dawn of will be more inclusive (Bussey 2006b)? If we position Christian's mapping geophilosophically, to use Deleuze and Felix Guattari's term (Deleuze and Guattari 1994: 95), its limitations, which privilege narrative over depth becomes clear. The conclusion is that the map, though a useful and elegant organizing principle, can be improved. Christian's map invites us to participate in the world at the level of matter (the energy circuit) and bio-cultural learning systems. The following section will introduce three possible extensions to Christian's cartographic gaze. It begins, however, with an overview of mapping itself. The maps we choose to understand our world and ourselves, as Christian acknowledges, can be quite varied (2004: 11). They act as epistemological anchors in a world, which without them, would appear chaotic and fragmented. Francis Hutchinson describes five types of mapping and points out that ‘Metaphorically and genealogically speaking, our guiding images may be seen as forms of cultural maps. Such guiding images “naturalize” our orientations to the physical and social world, the steps we take in everyday life and what our anticipated future journeys are’ (Hutchinson 2005: 1). Hutchinson offers a genealogical account of cultural map building in which five dominant approaches are discerned and then proceeds to argue for a ‘dissenting cartography’. The five dominant mapping approaches are a useful starting place for this exploration, and we can see that Christian's work applies them all. What we notice are complex systems that combine structure and diversity. These are the patterns that stand out against a background of disorder or extreme simplicity, and that have histories. If there are general rules of historical change, they concern the ways in which these patterns are created and evolve (Ibid. : 505). So it must be admitted Christian's map is pretty good. But can it be improved? One way to approach this question is to begin looking at developments in science that emphasize the nonlinear. Ervin Laszlo for instance in developing his own macrohistorical narrative parallels the theme of chaos found in Christian's evolutionary mapping (Ibid. : 467ff.) but pushes it in a qualitatively different direction. Drawing on the nonlinear dynamics of chaos theo-ry he argues that ‘the dynamic of development that will apply to our future is not the linear dynamic of classical extrapolation but the nonlinear chaos dynamic of complex-system evolution’ (Laszlo 2001: 8). This he says accounts for the major shifts in human cultural evolution; such shifts he calls ‘macroshifts’4 and he claims we are experiencing one today. Thus he concludes: ‘A macroshift is a bifurcation in the evolutionary dynamic of a society – in our interacting and interdependent world it is a bifurcation of human civilization in its quasi totality’ (Ibid. : 9). The map does not reproduce an unconscious closed in upon itself; it constructs the unconscious … The map is open and connectable in all of its dimensions; it is detachable, reversible, susceptible to constant modification. It can be torn, reversed, adapted to any kind of mounting, reworked by an individual, group, or social formation. It can be drawn on a wall, conceived of as a work of art, constructed as a political action or as a meditation… (Ibid. : 12–13). Their thinking picks up on a theme in Christian's cartography, namely the fragility of complex systems and the vulnerability that comes with an ever increasing degree of complexity (Christian 2003: 455). Thus Deleuze and Guattari state: ‘The present … is what we are and, thereby, what we are already ceasing to be’ (1994: 121). Does such an approach to mapping world history actually improve the telling? The answer might be a paradoxical yes/no. Certainly it will help make sense of that liminal region between the materiality and subjectivity of history; yet, undoubtedly, no, because it would require a different style of execution. The rhizomic quality that Deleuze and Guattari are notorious for is one possibility. Another is the writing of parallel histories, as in the imaginative but germane, Dictionary of the Khazars by Milorad Pavić, in which he offers two editions, one for men and one for women. The back cover states: ‘The female edition is almost identical. But not quite. Be warned that one paragraph is crucially different. The choice is yours’ (Pavić 1988). This work invites an inter-textual engagement, one driven by the reader's choice and hence participatory, in which depth emerges from parallel readings supplied, but not explicitly – they have to be produced through effort, by the textual arrangement itself. In this the reading is performative, perhaps even transformative. To push this exploration further, let us assume a degree of dissatisfaction not just with Newtonian physics, but also with Quantum physics. Such dissatisfaction Michael Talbot argues lead two quite different scientists, David Bohm and Karl Pribram, to independently of one another posit the controversial holographic nature of the universe (Talbot 1996: xii–xiii)6. What happens to world history if the universe is a hologram7 and the second law of thermodynamics is found to be of limited application and if human beings rather than just consuming energy, also emit it? Much of Christian's narrative rests on energy consumption and management and on the role of entropy in universal dynamics. What happens if chaos is in fact only seen as such if perceived from a specific state of order? As Talbot proposes, following Bohm, ‘there is no such thing as disorder, only orders of indefinitely higher degrees’ (1996: 177). The question of human energy will be considered in the next section. As to mapping the holographic universe we could use Sohail Inayatullah's Causal Layered Analysis (CLA) (Inayatullah 2004), which theorizes socio-cultural space as layered. Each layer corresponds to a different order, logic, and formal reasoning. It also ascribes agency differently and thus situates historical meaning within different epistemic formulations. There are four layers and each is reliant on the others. In this reading though holographic in nature the world is experienced by us as integral. At the surface level of litany historical events are experienced as discrete and random. There is no reason for anything beyond its own verity. Agency resides with each individual. However, when we start looking for reason we often turn to the second level of system, in which cause and effect play a major role. Thus the emergence of Mesopotamia as the ‘birth place’ of civilization can be linked to a range of physical and social conjunctions that fostered increased complexity in social order. Agency now resides with the individual as part of a system, order, learning community. When we become aware, as Christian is, of our role in constructing our maps we move to the third level of CLA which acknowledges world view and knowledge paradigms as central to how we construct meaning and navigate reality. At this level agency resides with collectivities bound together in epistemic communities. When such explanations leave us wanting deeper understanding we turn to the deep stories and myths we subscribe to as cultures and civilizations. These are often unconscious and although we can ‘own up’ to our creation myths – as Christian does – we can often remain unaware that behind this honesty lies still deeper, ever deeper as Deleuze points out (1993), representations of being that elude us. No one is ever fully aware of these depths as they are folded, shifting and multiple but they can be called forth as partial explanations which must make do as reality in any given context. Agency now is deeply embedded in culture and tradition – submerged in the meta processes that constitute being, the dasein of any moment as Martin Heidegger would describe it (Bussey 2006a). Context and tradition are constitutive of being and shape the kind of history we write. One example can illustrate this last point. World history tends to be linear as it follows a narrative premised chronologically on evolutionary thinking that is Darwinian: we evolve from simple to complex, experience random shifts, bifurcations, dead ends and leaps. If we reconfigure this story by introducing the Indic vision of creation as a wheel (see Galtung 1997) – the brahma chakra cycle – the telling history immediately shifts to be told in such a way. In this model energy as consciousness drives the story, seeking ever more complex arrangements to better house self-awareness8. The returning consciousness that must eventually, after life times reunite with its point of origin: Brahma, cosmic consciousness, universal love. Such an organizing story is not inimical to evolutionary thought, furthermore, it actually enhances the strength of holographic theory by acknowledging the role consciousness plays in shaping the ‘real’. Once again our participatory role in the universe is affirmed and extended. This brings me to the last point in this section. With it we return to Darwin and the theo-ry of evolution. As we noted at the beginning of this article Christian sees human evolution driven by three adaptive mechanisms: natural selection, individual learning and collective learning. David Loye presents a reading of this tripartite system that is subtler and more sensitive to some features of the ‘story’ captured by the idea of a holographic universe and the use of CLA as a theory of layered reality and the human role in its construction. Loye begins by noting that although Darwin mentioned ‘survival of the fittest only twice in his last book, The Descent of Man published in 1871, he discusses at length the place of sympathy, mutuality, and cooperation in evolution. The word ‘love’, on its own, appears ninety-five times9! Loye offers a new reading of the evolutionary map based on a detailed analysis of Darwin's entire works10. He arrives at an expanded and far more human – what he calls Fully Human Theory – evolutionary map (Loye 2004: 240). This is clearly very similar to Christian's evolutionary map, yet it accounts for the range of subjective developments that collective learning implies. It also acknowledges, as Christian does (2003: 443), the ranking, or layering, implied by levels of complexity and abstraction. Loye is not a historian, he is a psychologist and futurist working to expand the human grammar of cultural and ecological renewal. Christian of course is also doing this yet his claims for the place of consciousness and practice in human evolution are less well developed than Loye's. Certainly the latter's rereading of Darwin expands the possibilities inherent to evolution as a ‘creation myth’ for our time. The purpose of this section has been to deepen our understanding of mapping as a tool for historical and social reconstruction, where history is simply not a recount of the past but morally committed to promoting a deeper and more embodied understanding of humanity in context. To extend this dissenting cartography further the next section will explore one of Christian's key concepts – energy – and its implications for mapping possible future evolution. … as a species, we now consume about fifty thousand times as much energy as our ancestors once did. [We] demonstrate a control over energy that no other species can match (2003: 449–450). Yet, he acknowledges it is our very success at this that now threatens to be our undoing. The question before us all is what now? Should we go back to simpler lives? Can we balance out the inequities which eat away at the heart of the system? Carlo Ginzburg is not hopeful on this count. ‘Our capacity to pollute and destroy the present, the past, and the future is incomparably greater than our feeble moral imagination’ (Ginzburg 2002: 172). Yet it is precisely this moral imagination that world history, through its commitment to diversity, polycentric accounts as Heather Sutherland calls them (Sutherland 2007: 521), and depth both invites and facilitates11. Evolution, in the hands of a moral imagination might not be that malevolent. Loren Eiseley long ago observed: ‘Natural selection is real but at the same time it is a shifting chimera, less a “law” than making its own law from age to age’ (1969/1994: 187). In this he acknowledges the participatory quality involved in the human journey to date. This mutuality, the relationship between subjective and objective realities, actually pushes us to act. The evolutionary driver for change is built into context and the current global crisis. Thus over a decade ago Michio Kaku declared: ‘One of the forces driving us towards a planetary civilization is the fear of planetary collapse…’ (Kaku 1997: 330). Kaku is underscoring the fact that, as a species, we either become more complex and head towards a fully integrated global civilization, or we will decline. Business as usual is however, not an option. Kaku is interested in how we use energy and what this tells us about our species and its possible futures. So is Christian. He re-cognizes that civilizations require energy. Through a kind of capillary action similar to gravity the great civilizations of the past drew people, resources, skills, ideas and wealth to a central hub. All of these are kinds of energy that are transmuted into the physical and cultural artefacts that come to order and define identity, value, meaning and purpose. Furthermore, there is a correlation between the energy needs of a civilization and its energy expenditure. In the past this energy release took the form of monumental building, military and commercial expansion and innovation, and creativity in technology and the arts. Today, as we approach a global civilization, world history has emerged to provide a context and a language for thinking about how the energy flows that underpin this development can be mapped (Christian 2003: 446). Today, humans may be controlling anything from 25 % to 40 % of the energy derived from photosynthesis and distributed through land-based food chains. In addition, in the last two centuries, humans have learned to tap the huge stores of energy buried millions of years ago in the fossilized bodies of ancient plants and micro-organisms, and available today in coal, soil, and natural gas. These statistics indicate theastonishing ecological power acquired by our species in the course of its history (Ibid. : 453). One way to think about this relationship with energy is to pick up on the thinking of astrophysicist Nikolai Kardashev and link it to some of the possibilities posed by mapping the universe holographically. Firstly, as Christian notes repeatedly, it is humanities' increasing power to control the planet's energy that has been a driver for increased cultural complexity – what we tend to call civilization. The use of the term ‘power’ here is significant because the power over energy brings with it power over people's lives. It must be noted that there is an asymmetry in the quasi-synonyms power-energy. Power to dominate, to control, is a focused use of energy; it is harnessed energy; it is a bounded energy field as implied by Christian's gravitational analogy for large populations and cities drawing resources into them (Christian 2004: 291). Yet, power is a subset of energy; it is diminished by it. When we think holographically, energy is everything in motion, temporally and spatially, creatively and destructively, psychically and physically. Energy, is, to use a concept from Deleuze and Guattari, the plane of immanence for power (1994: 35ff.). Thought, ideas and knowledge in this context can also be read as energy – both electrical as in synaptic firing; as well as abstract propulsion12. This energy is what sends the arrow of tradition flying; it is also what maintains it, being the act of flying. It is what maintains and transforms the social. From this perspective, and this links us to CLA, myth is energy captured within a cultural aesthetic. Myth provides templates that order experience, validate power structures that occur in the cultural and social fields; myth is an analogue for ordering experience and bonding it to affective states that afford identity to individuals and cultures. Energy acts as a form of integrative consciousness that draws analogically on the work of Kardashev. The concern in this schema is with energy from a range of physical sources. What we could do to further our mapping is link physical energy use and control with the amount of psychic energy used to generate and maintain each civilizational level. From a world history perspective such a ‘jump’ could produce some in-terestingly speculative maps. As we lurch toward a level one civilization this process is facilitated equally by our ability to harness not just physical energy but also psychic energy in the form of knowledge, aspiration and creativity. Both Sagan and Kaku estimate global humanity have reached a 0.7 civilization which is a thousand times short of a Type 1 Civilization (see Kaku 2005: 308; Sagan 2000: 238). We can close this gap and reach Type 1 within two centuries, if we survive the perils of such a transformation13. Sagan already hinted at a correlation between human energy consumption and the intensification in collective learning that psychic energy points to when he observed: ‘we would expect a civilization high on the energy scale to be high on the information scale’ (Sagan 2000: 237). So if we accept that there is a direct correlation between the generation and consumption of physical and psychic energy then we discover another aspect of the participatory relationship humanity has with the universe and the Big History that we can weave around this. 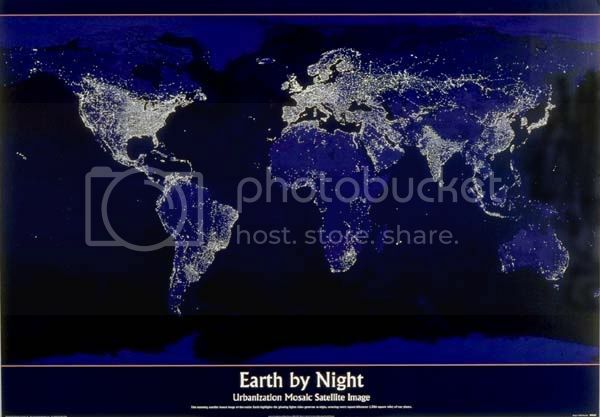 One surprisingly revealing map that connects concentrations of human psychic energy with physical energy consumption is the wonderful image of the world at night as seen from space. This image makes explicit the usage of energy as an analogue for the cultural dynamism at the heart of an emergent global civilization. It also reveals the huge imbalances at play. Figure 3: The Earth at night illustrates this by mapping the concentrations of psychic energy and hegemonic power of the current world order. The Voros-Kardashev typology is useful as it offers an analogue for thinking about traditions and culture and their ability to successfully, or unsuccessfully, order a global civilizational narrative. Figure 3 alerts us to three things. Firstly, how much physical energy is used to maintain the human experiment; secondly, as was just noted, how inequitably it is distributed around the globe; and thirdly, it makes explicit where the psychic energy is being released that is currently defining the global narrative. As James Lovelock recently observed, ‘civilization is energy-intensive’15. Though the distribution of light clearly correlates with the dynamism of a globalizing (largely western) world-view and the sets of traditions that underpin this, it does not allow for the intricate interplay of traditions that map the entire human experience; rather it privileges the Western over local and traditional value systems. To look at traditions we can see civilizations as the major tectonic plates with traditions, both cultural and intellectual, situated at more local and personal layers. Much of the psychic energy driving the human experiment is bounded by these traditions. In fact it is quite plausible to move beyond analogy and assert that traditions are energy streams that draw on energy from the past, condense and focus energy in the present and, like a torch light, channel and project energy into the future. The fibre optic cables and satellite transmissions that bring speed and flexibility to the planet and its globalizing economy and culture, as well as the urban incandescence of the Earth at night, are in fact physical expressions of an invisible but clearly defined confluence of energy generating traditions. This paper has sought to expand on the temporal mapping of David Christian's big history (2003: 457). In this it acknowledges his assertion that ‘Clearly, human history marks something new in the history of our planet’ (Ibid. : 452) and builds on his invitation to think Big. At the heart of this exploration is the desire to deepen and problematize the categories that shape Western historical thought and practice. There is nothing new in this as a host of earlier commentators – Francis Hutchinson, Marshall Hodgson, Ashis Nandy, Ranajit Guha, Carlo Ginzburg and Sohail Inayatullah amongst them – have done the same. However, what we have at hand today are new configurations for thinking about the ‘modern creation myth’ and its narrative structure. Such rethinking emphasizes the participatory nature of our universe and the performative dimension of all mapping at the limits of world history. These emergent stories, linked to possible alternative cosmic narratives such as the Brahma Chakra cycle from India, loosen our fixity in time, place and tradition and open up the cartographic gaze to multiplicity and depth. 1 A quick survey of notable authors in the field reveals remarkable silence on this bigger picture: Peter N. Sears, Geoffrey Blainey, Peter Watson. Most world historians agree that the Eurocentricism characteristic of most history is to be shunned – Clive Ponting, World History: A New Perspective (2000) for example, is most eloquent on this. Yet there is also an understandable and to some degree unavoidable speciesism that cuts many historians off from the universal context explored by Christian. The choice is between story of species or story of species in context. 2 Deleuze and Guattari note: ‘If philosophy begins with the creation of concepts, then the plane of immanence must be regarded as prephilosophical. It is presupposed not in the way that one concept may refer to others but in the way that concepts themselves refer to a non-conceptual understanding. Once again, this intuitive understanding varies according to the way in which the plane is laid out’ (see Deleuze and Guattari 1994: 40). 3 Marshall G. S. Hodgson wrote a wonderful essay on this which is in his Rethinking History: Essays on Europe, Islam and World History (1993), Historical method in Civilization Studies (pp. 72–90). Such a terrain is of course another form of the old philosophical tension between agency and structure. 4 Ibid., passim: macroshifts are the shifts from: mythos to theos; from theos to logos; and from logos to holos. This latter shift is occurring today, but he argues we are still dominated by logos. 5 Deleuze and Guattari point out ‘Writing has nothing to do with signifying. It has to do with surveying, mapping, even realms that are yet to come’ (1987: 4). My italics. 6 Ervin Laszlo offers a neat summary of holographic reality in his outline of the new holism in Matter and Mind: The New Holism and the Greater Humanity (Loye 2004). 7 Similar explorations can result from asking other questions about the universe, such as what about string theory as described by Brian Greene in The Fabric of the Cosmos: Space, Time and the Texture of Reality (2005); or the discrepancies in gravitation density in the universe described by Lisa Randall, Warped Passages: Unravelling the Mysteries of the Universe's Hidden Dimensions (2006). 8 There are many versions of this but one that is not overloaded with Indian mythic imagery is offered by Prabhat Rainjan Sarkar Idea and Ideology (1978: 80). For a wonderfully aesthetic and reflective exploration of this it is worth reading Roberto Calasso's Ka, translated by Tim Parks (1999). 9 David Loye ‘Darwin, Maslow, and the Fully Human Theory of Evolution’ in The Great Adventure, edited by David Loye (pp. 20–36, 28). Eiseley (1969/1994: 185) was of a similar opinion and noted: ‘The nineteenth-century evolutionists and many philosophers still today, are obsessed by struggle. They try to define natural selection in one sense only – something that Darwin himself avoided. They ignore all man's finer qualities – generosity, self sacrifice, universe-searching wisdom – in the attempt to enclose him in the small capsule that contained the brain of proto-man’. 110 Space does not permit it but another interesting evolutionary map to explore is Ken Wilber's integral ranking of consciousness presented in his work A Theory of Everything: An Integral Vision for Business, Politics, Science and Spirituality (2001). 11 On the place of imagination in history see: Bussey and Inayatullah (2006). 3 The movie Matrix alludes to the potential of psychic energy to maintain a civilization of machines with its depiction of human batteries; similarly H. G. Wells in 1938 describes the World Brain, a kind of global knowledge-base that harnesses all the information-thought on the planet for the use of all – see Paul Wildman and Jennifer Gidley ‘“World Brain” as a Metaphor for Holistic Higher Education’, New Renaissance, vol. 6, no. 3 (1996). Available at http://www.ru.org/artbrain.html (accessed January 29, 2008). This idea was one prototype for the world-wide-web and offers an analogue of sorts for the idea that a civilization does not simply produce and consume physical energy, but also generates and consumes psychic energy also. 14 Available at http://www.selectsmart.com/DISCUSS/read.php?33,667139,668881 (accessed January 20, 2009). 2006a. The Paradox of Being: Dasein as a Potential ‘Ground’ for Futures Work. Journal of Futures Study 10(4): 91–94. 2006b. Shadow Dancing: Colonizing Racisms and Their Discontents. Journal of Futures Study 11(2): 101–118. Bussey, M., and Inayatullah, S.
2006. Neohumanist Historiography: Reshaping the Teaching of History. In Inayatullah, S., Bussey, M., and Milojević,I. (eds. ), Neohumanist Educational Futures: Liberating the Pedagogical Intellect (pp. 266–282). Taipei, Taiwan: Tamkang University Press. 2003. World History in Context. Journal of World History 14(4): 437–458. 2004. Maps of Time: An Introduction to Big History. Berkeley: University of California Press. 1993. The Fold: Leibniz and the Baroque. Minneapolis: University of Minnesota Press. 1987. A Thousand Plateaus: Capitalism and Schizophrenia. London & New York: Continuum. 1994. What is Philosophy? New York: Columbia University Press. 2005. Performing the World: Reality and Representation in the Making of Modern Histor(ies). Journal of World History 16(4): 391–410. 1969/1994. The Unexpected Universe. New York: Harcourt Brace & Co.
2005. Moving Beyond Biopower: Hardt and Negri's Post-Fou-cauldian Speculative Philosophy of History. History and Theory 44(1): 47–72. 2005. Universal History: Sizing up Humanity in Big History. Journal of World History 16(1): 83–97. 1997. Macrohistory and Macrohistorians: Perspective on Individual, Social, and Civilizational Change. Westport, Connecticut: Praeger. 2002. Wooden Eyes: Nine Reflections on Distance. London & New York: Verso. 2005. The Fabric of the Cosmos: Space, Time and the Texture of Reality. New York: Vintage. 2002. History at the Limit of World-History. New York: Columbia University Press. 1993. Rethinking History: Essays on Europe, Islam and World History. In Burke, E. III (ed. 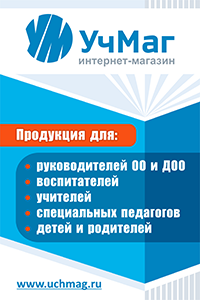 ), Historical Method in Civilization Studies (pp. 72–90). Cambridge: Cambridge University Press. 2005. Mapping and Imagined Futures: Beyond Colonizing Cartography. Journal of Futures Study 9(4): 1–14. 1999. Situating Sarkar: Tantra, Macrohistory & Alternative Futures. Maleny, Australia: Gurukula Press. 2004 (ed.). The Causal Layered Analysis (CLA) Reader: Theory and Case Studies of an Integrative and Transformative Methodology. Taipei, Taiwan: Tamkang University Press. 1997. Visions: How Science will Revolutionize the 21st Century. New York: Anchor Books. 2005. Parallel Worlds: The Science of Alternative Universes and Our Future in the Cosmos. London: Allen Lane. 2001. Macroshift: Navigating the Transformation to a Sustainable World. San Francisco: Berrett-Koehler Publishers. 1991. We Have Never Been Modern. Cambridge, Massachusetts: Harvard University Press. 2006. Earth is set to catch a morbid fever, and we're responsible. Canberra Times, January 19. Available at http://canberra.yourguide. com.au/articles/452563. html?src=search (accessed January 29, 2008). 2004. The Great Adventure: Toward a Fully Human Theory of Evolution. Albany U.S.: State University of New York Press. 2007. Time Treks: The Uncertain Future of Old and New Despotisms. Ranikhet: Permanent Black. 1988. Dictionary of the Khazars. New York: Knopf. 2000. World History: A New Perspective. London: Pimlico. 2006. Warped Passages: Unravelling the Mysteries of the Universe's Hidden Dimensions. New York: Harper Perennial. 2000. Cosmic Connection: An Extraterrestrial Perspective. Cambridge: Cambridge University Press. 1978. Idea and Ideology. Calcutta: AM Publications. 2007. The Problematic Authority of (World) History. Journal of World History 18(4): 491–522. 1996. The Holographic Universe. London: Harper Collins. 2006. Cosmos and Psyche: Intimations of a New World View. New York: Viking. 2007. Macro-perspectives beyond the World System. Journal of Futures Studies 11(3): 1–28. 2001. A Theory of Everything: An Integral Vision for Business, Politics, Science and Spirituality. Boulder: Shambhala.